Located in the heart of the Philippine Surfing Capital, Kermit was made by surfers for surfers. We are all about the sleep-eat-surf mentality. It's not just a sport, it's a way of life. 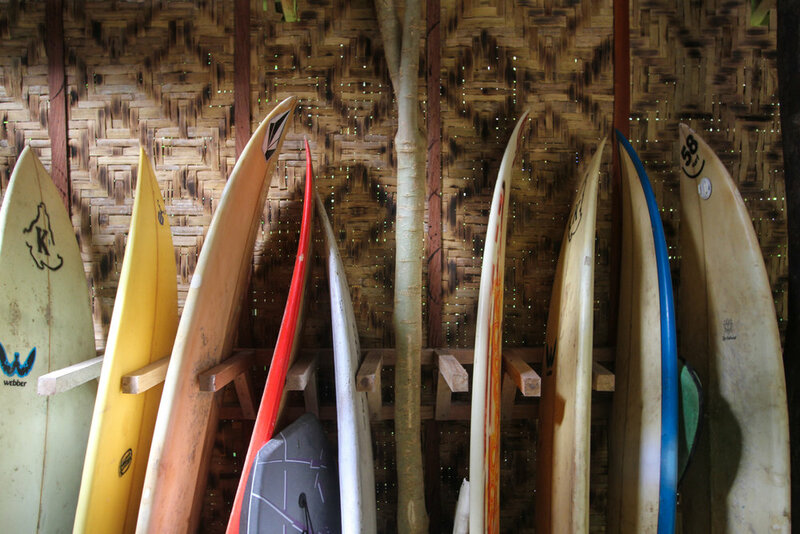 Kermit Siargao X Gwapitos has the number one and longest running surfschool and camp in Siargao Island. We started to share the stoke and teach people how to surf back on 2010. Our GWAPITOS team will become your island Family. Our Heads instructors Eloy and Jong are ISA (International Surf Association) level one certified and they have more than 20 years of surf experience. We have a total of 17 in-house experienced instructors whom will be your best friends. Instructors are furthermore certified as Emergency First Response. Never surfed before? No problem. Kermit's world renowned surf packages are customisable according to your needs and level of expertise. Yoga Sessions are also included in our packages, to be able to release tension and stretch out our bodies after surfing for days straight. ✔ TRANSPORTATION: Airport or harbor pick up and drop off for a min of 5 days . ✔ SURF GUIDING AND TEACHING: Two surf lesson per day to the best surf spot. 1:1 teaching ratio. ✔ EQUIPMENT: Everything you need for the waves. From your board, to your leash. ✔ INTERNET: Free WIFI connection at the resort. 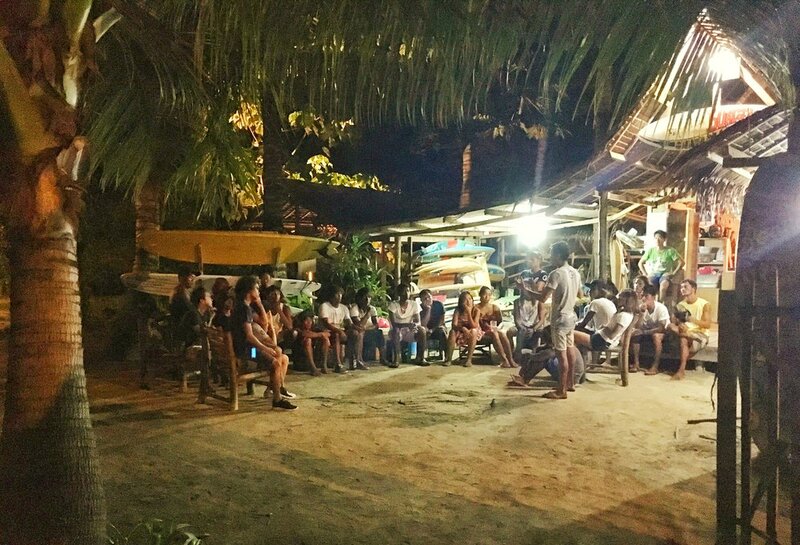 ✔ SURF GUIDING AND TEACHING: Two surf lesson per day to the best surf spot depending on your surf ability. 1:1 teaching ratio.